This is a wonderful and highly instructive episode and I am grateful to you for sharing this important lesson. I wonder which version of the Ramayana it is? I am separated from my library. Is this the versionn of Ralph TH Griffith, written about a century back? I was reading in the Bhaktivedanta Purports of Shri Chaitanya Charitamrita just yesterday about the younger brother of Shrila Rupa and Sanatana Goswamis. Shri Anupama Goswami accepted Lord Gauranga as the Supreme Lord, but he was devoted only to Lord Ramachandra. 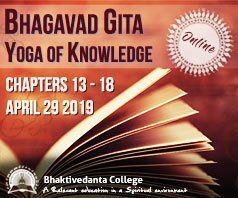 In this way, Gaudiya Vaishnavism is so wonderful, as seen from Shri Chaitanya’s revealing His divine Sada-Bhuja Form, that even Rama-bhaktas will find a home in ISKCON. 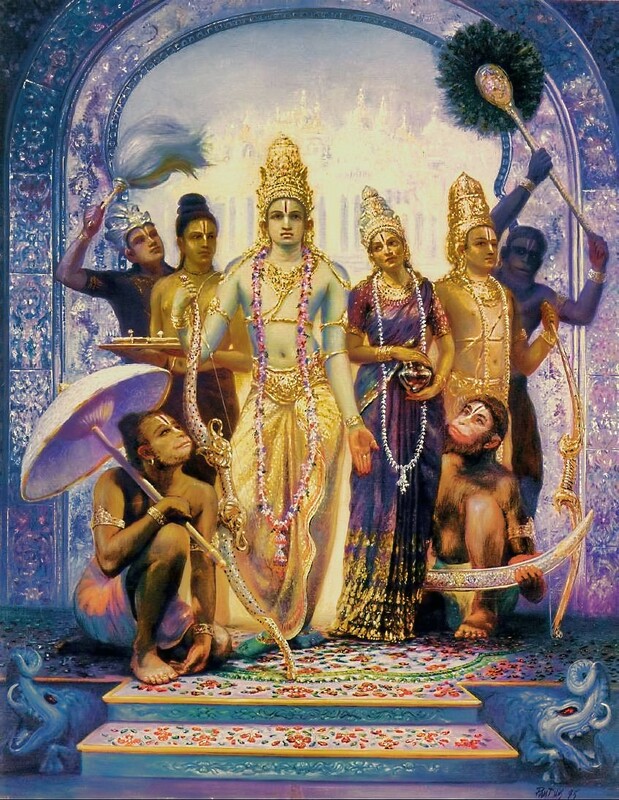 Prabhupada said that Anupama went to the spiritual planet of Shri Rama upon his departure. In order to demonstrate the universality of Mahaprabhu’s sankirtan movement, Prabhupada installed the Most Worshipful Forms of Shri Sita-Rama-Lakshman-Hanuman at Hare Krishna Land and They are adored today by millions. And why not? Historical research shows that both Lords Chaitanya and Rama visited Bombay. The Shiva Linga consecrated by Lord Rama is still there: Walkueshwara, “the sand Linga”. What treasures would have been unearthed had Prabhupada written a Purport to this verse. A math mahant should be shorn of egoism. Even the Christians quote, “That which is done to the least of us is done to Me.” Often the needs of “insignificant” or “expendable” devotees are overlooked in the progress of a greater program. But what is the use of such programs except to create devotees? So here in this narration we see a mahant reborn as a dog because of his own arrogance. This vengeful dog e even arrannged for such a curse to befall a brahmana who had unjustly beaten him. I believe the math must have been at Kalinjar and not Kalanjan as given in the text. This is the same Kalinjar, if I am not mistaken, from where Jad Bharata hailed. It is still there in Northern MP. The dog was a jati-smara, or one who could recall his past life. It is peculiar, is it not, that although by his piety he obtained the direct darshan of Lord Rama, he felt he should fast unto death at Kashi, the abode of mayavada. We are left wondering if he was able to take full advantage of his darshan with the Lord and become Krishna Conscious, or if the egoism and impersonalism of being an ashram leader remained with him. As you point out, ambitious persons should study this. Arrogance is the greatest poison, and for spiritual leaders that is especially true. We printed this story in issue 60 of Sri Krishna Kathamrita Bindu. 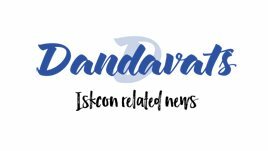 If you look to that issue you will find some of the original Sanskrit as well as something of a purport we wrote about it, along with a few words about it’s place in the Valmiki Ramayana. It is from the Gita Press Gorakhpura edition. It is two volumes, 1900 pages with Sanskrit included, all at t very affordable price of INR 300 in India. In the first canto Srila Prabhupada makes a comparison of his GBC to the demigods in that case Yamaraja where he states that if the GBC is not responsible they like Yamaraja will be cursed to become sudras. Thank you for a link to your site. It is beautiful in many ways keep up the good work. However, if I may be so bold as to point out one thing that I noticed, it seems to have a lot of flash in it and flip books, pdfs etc much of which search engines are blind to. In other words the search engines and their users and not seeing most of your site. For example googling the phrase “A Sadhu is Always Present” found in your flip book “How to find a Guru” did not bring your site up at all. Zero, shunya, nada, nyet. Whoever built your site didn’t think about SEO — Search Engine Optimization— where flash, pdfs etc are a big “No No.” Just take it as a friendly word of advice on how to increase traffic to your site (I studied SEO for some time) so more people can get the nectar you have to give. Your Bindu e-magazine continues to be a wonderful inspiration for all devotees. Apparently you have learned the art of selflessly preaching the glories of Bhagavat Dharma in its multi-faceted dimensions from none other than the best of Shrila Prabhupada’s most faithful disciples, His Holiness Shri Srimad Gaur Govinda das Maharaja. You are a living example of the unbreakable and eternal Gaudiya sampradaya. I received your latest issue just today. All glories to your service. My thanks to both of you for your kind words. Shyamasundara Prabhu, I’ll copy and send your comments to the devotee who made and maintains our website. Patita Pavana Prabhu, I hope that good fortune will dawn on me one day and I can finally meet you. Well, Prabhu Madhavananda, I do not believe my association amounts to any good fortune at all. In fact, it is a mere curse. But if you will accept the offensive association of this wretched non-devotee ogre, then perhaps you’ll give me shelter and water when I stumble into Bhubaneshwara possibly in the near future. You see, somehow this demon;s heart longs to have the darshan of Lord Gopaljiu though deserving such a boon is unimaginable. And of course, Krishna means “with his devotees.” Therefore, until the day when I may take the dust of your feet on my head as permission to enter His temple, I remain your servant in separation.